​IC410 (or the Tadpoles) are located in the constellation of Auriga, approximately 12000 light years away. 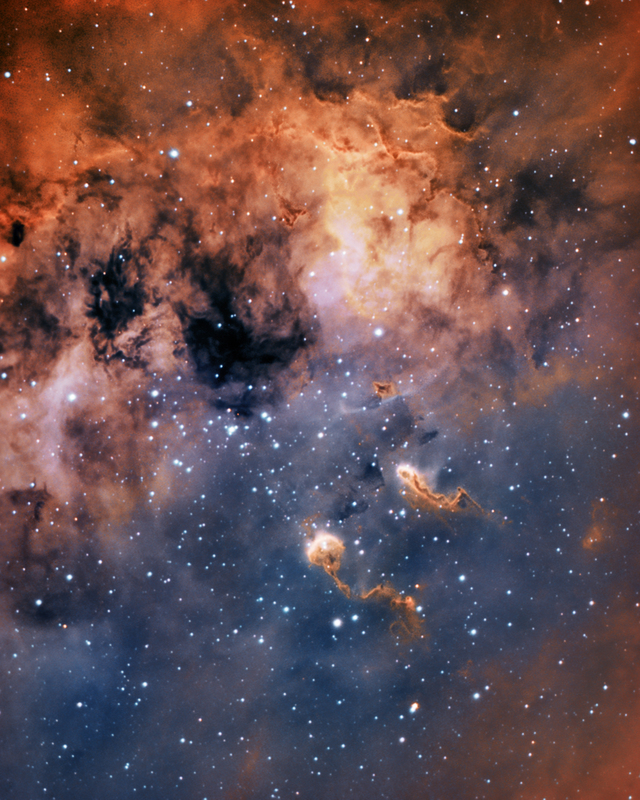 The Tadpoles are clumps of gas and dust and are likely forming yet new stars within them. The tails of the tadpoles are caused by the radiation pressure and solar wind. The Tadpoles themselves are estimated to be about 10 light years long!